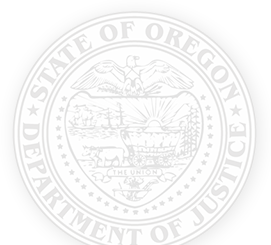 The Oregon Crime Victims’ Compensation Program (CVCP) works to ease the financial burden resulting from crime suffered by hundreds of Oregonians every year. As a licensed medical provider, the services you provide to a victim in the wake of a crime may be eligible for compensation through the program. For more information, please refer to the frequently asked questions below or call 503-378-5348 and ask to speak to a claims assistant. We are here to help. How do I submit a bill? Am I eligible for reimbursement from the Crime Victims' Compensation Program (CVCP) for the services I provided? A CVCP claim has been accepted. The service provided is crime related. The provider has proper licensure. All prior resources (such as private insurance, OHP, PIP) have been billed. The bill is submitted within one year from date of service. The award amount is not exhausted. Note: If the patient has insurance, they must see a participating provider. If the patient has insurance and does not see a participating provider, CVCP will not pay for the treatment unless CVCP has waived this requirement for good cause. Mental Health Professionals - Prior authorization is required. Unauthorized sessions WILL NOT be covered. Chiropractors, Physical Therapists, Acupuncturists, Massage Therapists - After the first five visits are paid, CVCP requires a current referral from an M.D. or D.O. for continued payment. Funeral Homes - Funeral homes cannot apply directly for CVCP benefits. A family member financially responsible for the funeral expenses must complete the application for benefits. Funeral homes cannot apply on behalf of the victim. Is a patient's accepted CVCP claim a guarantee of payment? the bill submitted within one year from date of service. Note: Medical chart notes and EOBs should be submitted with bills to expedite bill review and payment. Once we receive all required documents, we will process your bill as quickly as possible. Bill preparation and review times vary depending on the volume of bills we receive. However, we attempt to review all bills within one week of receiving the last required document. After the payment is approved, it is forwarded to the fiscal department and the payment is issued. Generally, payment takes approximately two weeks to be issued after it's approved. Payments are sent via U.S. Mail. Is preauthorization of counseling sessions a guarantee of payment? No. Prior authorization of counseling sessions to a victim or a victim’s family member is a requirement for payment, but it is not a guarantee of payment. All bills must be reviewed to determine if treatment is crime related and to ensure all prior resources have been utilized. Session notes and EOBs should be submitted with bills to expedite review and payment. Additionally, bills are subject to our fee schedule, detailed below. Can I be paid in advance? No, CVCP can only pay after services have been performed. In limited circumstances, such as dental treatment, a provider may submit a request for preauthorization. Providers must include the proposed treatment plan, billing codes and fees, and past chart notes and diagnoses of the patient. Authorization will be granted or denied in writing. Please contact us at 503-378-5348 to speak to a claims assistant for additional information. If my patient has insurance, but I do not accept their insurance, will Crime Victims’ Compensation pay? Generally, no. Crime Victims’ Compensation is defined by statute as the “payer of last resort.” This means that compensation can only be paid when no other resource is available to the victim. If a victim has private insurance, Oregon Health Plan, Automobile Personal Injury Protection (in automobile involved claims), or other coverage, the victim is REQUIRED to use that resource. However, if there is a compelling reason why the victim cannot use their prior resource (for example, there are no qualified providers within a reasonable distance of the victim’s residence) the victim or applicant may submit a written request for a waiver. Ambulance – Compensation for ambulance services is subject to our fee schedule. Dental Providers - Compensation for dental services are calculated using the Dental Customized Fee Analyzer. What does "100% crime related" mean? For a bill to be payable, the services provided must be crime related. Bills for services that are not 100% crime related will be reduced by a percentage in relation to the portion of the bill that is not crime related. For example, if you are a primary care physician who saw a crime victim and spent half of the appointment evaluating the progress of a healing fracture sustained during a criminal assault and the other half discussing their allergies or other pre-existing conditions, the bill would be paid at 50%. If I have a patient who I believe is the victim of a crime who may qualify for compensation, to whom should I refer them? Please call 503-378-5348 and ask to speak to a claims assistant. We are happy to assist you.